I saw the cover of this book and thought, "Oh wow, Bookworm1 will totally love this! It has the requisite elephant on the front!" The book arrived in the mail and instead of Bookworm1 running around with it, I discovered Jonathan with it. You see, Jonathan & I are wedding photographers and we really enjoy what we do. We deal with people and (most of the time) we can make them stand still. It's generally easy to direct and engage with people but it is beyond spectacular to photograph animals and get what you want! As it turns out, although Bookworm1 has very much enjoyed Creature ABC , his parents have appreciated it more than he presently can. Creature ABC features multiple page spreads for each letter. Each letter features an animal and several of the images are included in the book. 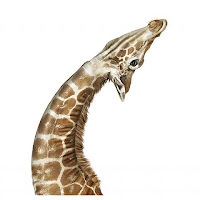 For example, for the letter 'G' we are introduced to the upper and lower case letter alongside a picture of a Giraffe which Bookworm1 declares, "He's making a SILLY face!!!" Turn the page and you are greated with another spread that shows the giraffe walking and "g-i-r-a-f-f-e" spelled out for you. Bookworm1's favorite page spread is of the giraffe making a silly face. My personal favorite is the page where one side shows the head of a kangaroo facing towards the center of the page. On the opposite page there is a lion "looking at" at the kangaroo. (Something tells me that the two animals were not actually photographed together but it's pretty cool looking.) 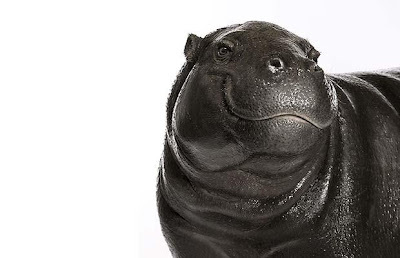 Jonathan was amazed by photographer Andrew Zuckerman's photograph of a hippo. And speaking generally, Jonathan was just impressed by Andrew Zuckerman. Zuckerman, for those of you who do not know, is a New York-based photographer and film director. I can find very little information on him personally, except to discover that he's all of one year older than I am. His website is absolutely stunning (and entertaining) and I'd encourage you to give it a look-see. You can see this video along with a few others if you want to visit Chronicle Books website of information on Zuckerman. 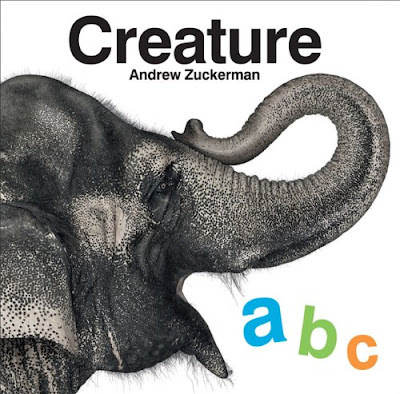 Andrew Zuckerman has published three photography books. He recently released a book called Bird in which he photographs, you guessed it!, birds! This book is also available through Chronicle Books. Really, this alphabet book beats all and that's because it's got it all! It has animals to impress the kids and photographs to blow an adult mind! It is obvious that Zuckerman is extremely gifted and knows how to capture the images he wants. I'm impressed! Thank you, Chronicle Books for sending us this book and for giving my son (and our whole family!) the opportunity to enjoy it! ooo...very cool. I must hunt this book down. Fun fun! I'm one of those people who could possess about a thousand good photography books! I love to see what people catch with their shutter!